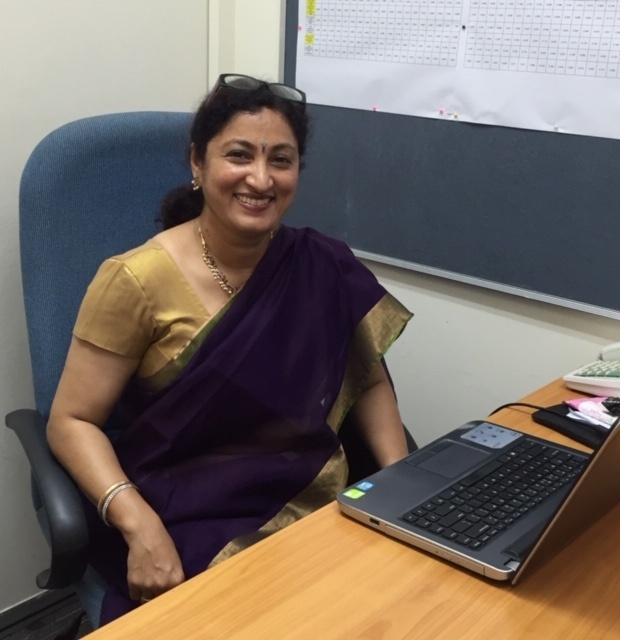 At Global Indian International School (GIIS), we have embraced this philosophy whole-heartedly even while designing a unique pedagogy which combines focal points of the esteemed Montessori curriculum with our holistic framework to provide an extensive 21st century education from an early age. 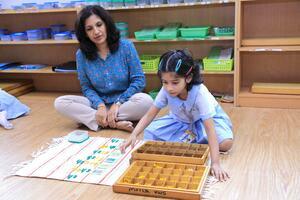 We call it the Global Montessori Plus Programme - where the 'plus' makes all the difference. As the name suggests, it is a combination of an accelerated programme which focuses on excellent growth. 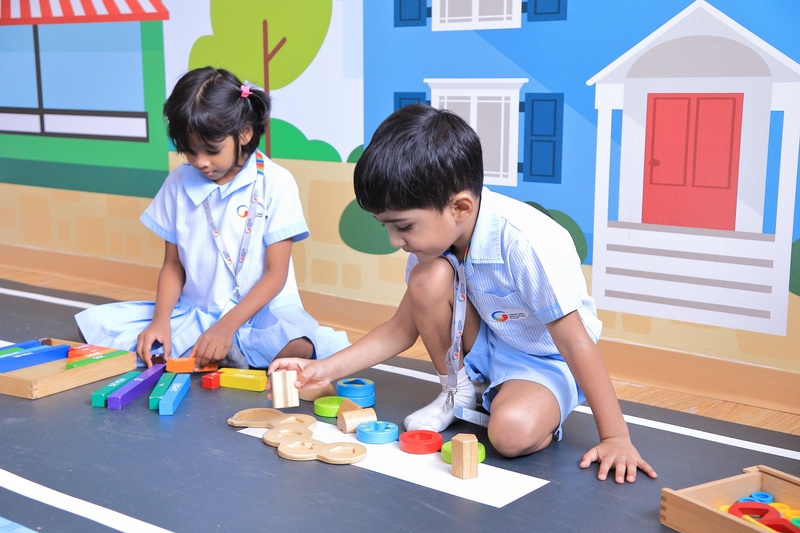 Through a combination of activities and teaching methodology, we help the child developing foundational skills in listening, reading, writing and talking, while sharpening their intellectual skills in mathematics. By the time the child begins primary school, he/she has a well-developed understanding of all these basics, which makes the transition to higher studies easier. Children reach age-appropriate milestones in language and numeracy skills through hands-on, practical learning. This component allows children to connect with the environment and the community, fostering cultural awareness and a sense of social responsibility. "Green living" activities, such as celebrating Earth Day, creates an awareness and consideration in students for the environment. Through service learning activities, such as spending time with local senior citizens, children learn universal values and ethics at a young age, laying the foundation for them to become responsible, compassionate citizens and leaders. 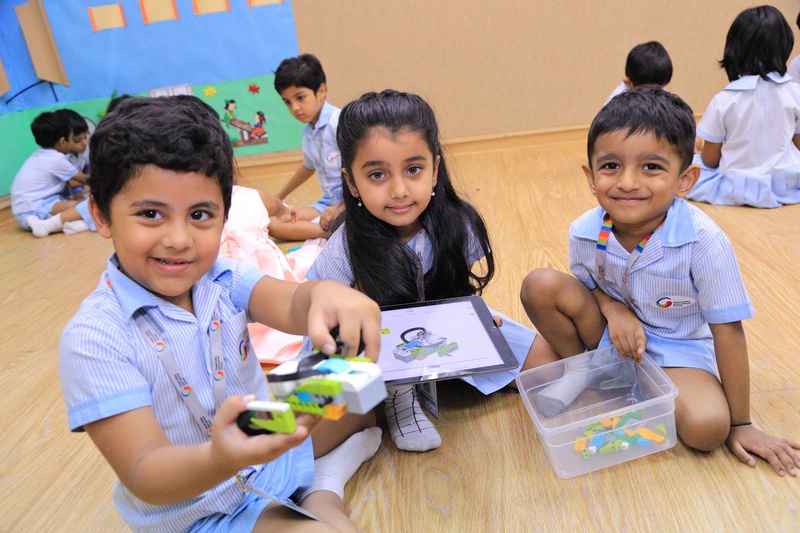 Learning through play is critical for pre-school children. By consistently interacting with their surroundings in fun and creative ways, children improve their spatial awareness, critical thinking abilities and socio-emotional skills. 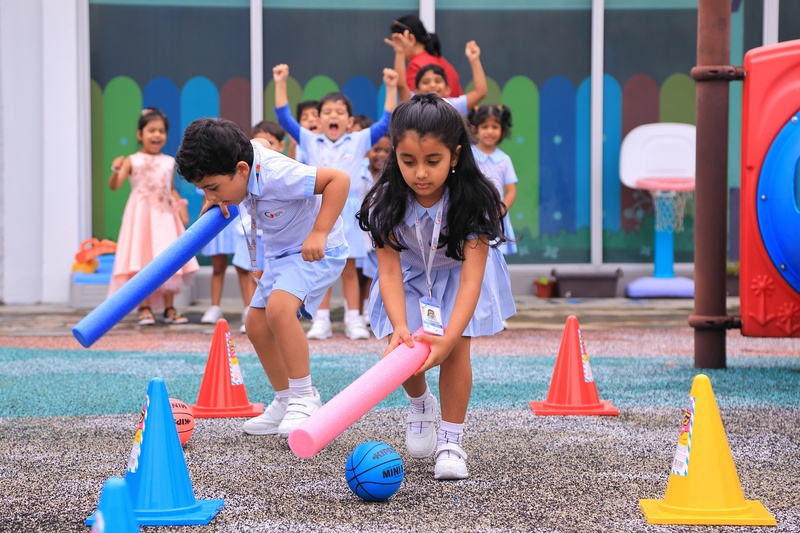 Free and guided active play enhances concept development. This pillar promotes multiple intelligences through thematic learning. Our approach is geared toward cultivating the child’s inherent personality traits, physical skills and whole-brain development. Themes extend across various subjects and aspects of the curriculum so that skills and knowledge are not taught in isolation, and teachers ensure that the child's own individual interests are included in the lessons. Activities can include field trips and special events, taking the learning beyond the traditional classroom and into the wider environment. The GMP introduces children to science, technology, robotics, engineering, arts and mathematics in ways which are developmentally appropriate and fun. When children are exposed to these subjects in early childhood, they acquire the skills necessary to adapt to and stay up to date with, the constantly-evolving fields of science and technology. We encourage young children to engage in science through activities that nurture their natural curiosity. For instance, at a recent science fair children displayed projects such as self-inflating balloons, inverted water-glass magic and lava lamps. This component of our curriculum provides a solid foundation in 21st-century skills, allowing children to stand out from the competition when it's time to pursue higher education and careers. The GMP Programme creates a safe, supportive environment where children feel loved, valued and respected, giving them the freedom to grow and explore. Our framework incorporates the structure children need to develop self-discipline, yet remains flexible enough to absorb and incorporate children’s individual needs and interests. We encourage children to take ownership of their learning, laying solid foundations which will allow them to reach their highest potential.